The second McLaren Report was published in December 2016 and immediately accepted by the western media and political establishment as “proof” of theaccusations about insititutional corruption and doping conspiracy in Russia. As you know, the banning of Russian athletes from the Rio Olympics and Paralympics was largely based on the private statements and first report of Richard McLaren. The evidence supporting these accusations along with details of the “athlete part of the conspiracy” are said to be in McLaren Report #2 issued in December 2016. (2) McLaren is inconsistent in his accusations against Russian athletes and knows the evidence may be weak. On page 2 he says “Over 1000 Russian athletes …. can be identified as being involved in or benefiting from manipulations to conceal positive doping tests.” On page 5 there is less certainty as he says “over 1000 Russian athletes … appear to have been involved ….” On page 20 the previous certainty is reduced even more as he says “246 athletes can be identified as potentially knowingly participating in manipulation…” (underlining added). On page 18 McLaren acknowledges the evidence may be weak as he says “the IP has not assessed the sufficiency of the evidence to prove an ADRV by any individual athlete.” (For readers unfamiliar with the acronyms, McLaren is the “Independent Person” or “IP” and “ADRV” is anti-doping rule violation). (3) Sports Federations are now confirming that McLaren’s evidence is weak. The lack of evidence is confirmed in the recent findings by different athletic federations. For example the International Biathlon Union recently evaluated McLaren’s information and cleared 22 of 29 Russians who had been implicated. Investigation of the other 7 continues. Even if all 7 are ultimately found guilty that means that 76% were not and suggests that McLaren’s accusation of 1000 complicit Russian athletes was a huge exaggeration. (4) McLaren accuses Russian officials and institutions without providing evidence. 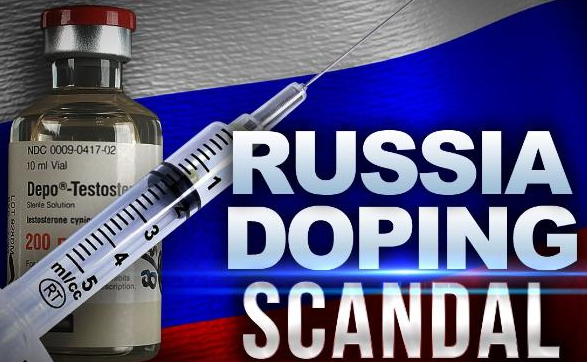 On page 20 he states “The cover up and manipulation of doping control processes involved officials in the Ministry of Sport (“MofS”), CSP , and Federal Security Service (“FSB”) as well as other sport officials and coaches. Also included were both the Russian Anti-Doping Agency (“RUSADA”) and the Moscow Laboratory.” It is widely known that Rodchenkof and the Moscow Laboratory were at the center of doping violations. What is new and requires evidence are the accusations that officials from the Ministry of Sports, Security Services and RUSADA were part of a conspiracy. When this author contacted Richard McLaren asking where the evidence is, he replied“The EDP is divided into categories so you can locate the documents you are looking for.” The “Evidence Disclosure Package” contains 1,031 evidence documents. A chart assigns each document among twelve general categories. McLaren’s major accusations do not reference a specific document. In effect, the Independent Person tells readers to find it for themselves. This is a very curious way to persuade or convince anyone. It raises the question whether the evidence is weak or non-existent. (5) McLaren smears all Russian athletes, innocent and guilty alike. On pages 46-47 he says “doping manipulation and cover up of doping control processes was institutionalized … It is unknown whether athletes knowingly or unknowingly participated in the processes involved. However they may be part of the conspiracy… Together, all of these parties were implicated parts amounting to a conspiracy….” With this logic, McLaren says all Russian athletes are guilty – whether or not they knew, whether or not they participated. (6) McLaren claims that Rodchenkov followed the directions and instructions of high officials in the Ministry of Sports but provides no evidence. For example, on page 82 McLaren says “On Deputy Minister Nagornykh’s instructions, the first phase in developing the sample swapping technique was launched.” On page 83 he says “At the direction of the MofS, these athletes would collect clean urine in baby bottles, Coke bottles or similar containers and supply it to the CSP.” On page 84 he says, “By direction of Minister Mutko and Deputy Minister Nagornykh all pre-competition washout samples for testing were to be collected only ‘under the table’ in unofficial containers.” If this is true, why does McLaren not provide the evidence in the form of emails or other communication? (7) McLaren suggests without evidence that the Ministry of Sports was responsible for distributing performance enhancing drugs (“PEDs”). On page 64 he says “Centralizing and controlling distribution of PEDs to athletes became an increasingly important element of the doping control system and manipulation.” This is contradicted by the fact that Rodchenkov was previously arrested for possession and distribution of PEDs and his sister was convicted for this activity. It is contradicted by the fact the Rodchenkov and coach Melnikov received payments for the drugs and falsified tests. Many pieces of evidence confirm the guilt of McLaren’s principal witness, Dr. Rodchenkov, but none give proof of collusion or direction by the Minister of Sports or another high official. In a footnote on page 68 McLaren says “it appears that athletes had to pay Coach Melnikov and Rodchenkov for positive samples to be clean.” This suggests a profit making or extortion scheme rather than state organized. (8) McLaren makes sensational accusations based on erroneous or misleading references. For example on page 74 he refers to the ‘hijacking of the London 2012 Games’. To substantiate this extraordinary claim, McLaren refers to the 2016 IOC media release “IOC sanctions eight athletes for failing anti-doping test at London 2012” . It is implied these are some of the Russian athletes who “hijacked” the London Games. This is misleading because only two of the eight disqualified athletes were Russian. – A toolmarks expert determined there was a way to open the supposedly tamper-proof urine sample bottles to allow exchange of dirty urine with clean urine. However the clandestine bottle cap opening would leave some slight marks. The marks were found to be of two types. to assist in correcting any flaw in the design, if it actually exists, to prevent future abuse. McLaren asserts that “marks” on the inside of the urine sample bottle confirm tampering. However the expert does not say that. Regarding “Type 1 marks”, the expert concluded that “these marks were reproduced and found to be present after screwing the lid on forcefully”. This means that if a user over-tightened the bottle cap trying to insure no urine leakage, it would cause similar marks.